Here is a collection of testimonies interwoven with life, blood, and tears. Have you ever heard dangerous and courageous mission stories? This is the one you don't want to miss. 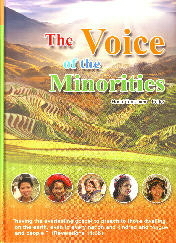 All those who are concerned with the gospel among China's ethnic minorities should read the pages of this book to understand what God is doing. This book will ignite your flame for world missions and bring you God's blessings.